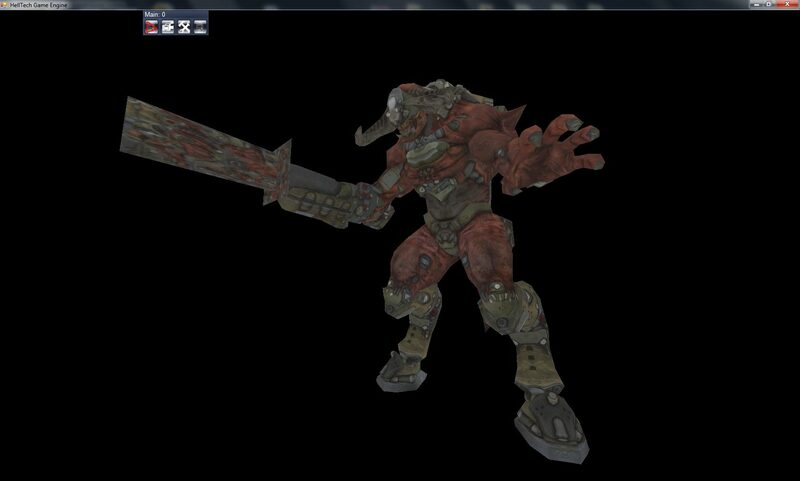 For the need of animated 3D models we implemented MD5 model support, introduced in idTech 4 (aka Doom 3 engine). This model format is supported in some 3D modelling and animation tools, so it would be a nice choice. There are disadvantages as that the MD5 models and animations are design to be computed on the CPU in stead of the GPU. This will not stop us as this is the first animated model file format that we will support. In the future we may use more formats, but for now it will suffice. This entry was posted in Development blog, Engine by z0r. Bookmark the permalink.